Hey there! Welcome to our Gluten Free Snack Attack! Today we are looking at Dried Mediterranean Apricots from Sams Club. These apricots are amazing! Sweet and moist and chewy, but not tough. They are high in potassium, fiber and vitamin A. This is a great snack and just $6 for 26 oz. or 18 servings. Here are a week’s worth of gluten-free school lunch recipes that add variety, kid-friendly flavors and nutrition to school lunchboxes. High protein sandwiches, pizza, warm comfort foods including convenient leftover entrees and veggie-rich soups and salads will keep even picky eaters and those with multiple food intolerances happy and healthy all through the school day. Be sure to read Lunchbox and Lunch Bag Safety from Kevin Weeks, our About.com Guide to Culinary Arts. 1. Sandwiches, Wraps and Pizza! According to Crayola’s safety specialists, only the crayola dough is made using gluten (wheat). That said, she told us the modeling compounds are made in the same location, therefore cross contamination is possible. The following statement can be found in Crayola’s FAQ on this page. Do Crayola products contain Gluten? Crayola Dough is the only product manufactured with wheat (flour) as an ingredient. All other Crayola products, including Silly Putty, do not contain wheat or other grains known to be a source of gluten. Since most of our modeling compounds are made in the same manufacturing facility, there is a very slight chance of cross contamination. The question was raised regarding gluten-free crayons and what type are gluten-free. We contacted Crayola to determine the gluten-free status of their crayons and other products. See below. Please note that Crayola licenses their name to other manufacturers, bath products, cooking products, etc. Crayola only knows the gluten-free status of products they make. If the product is not made by them, the manufacturer should be contacted directly. I am looking for a gluten-free crayons. I wonder whether you have one or if not could you give me some idea where can I get it from? Thank you and await your reply. Crayola crayons are gluten-free. We just spoke with a safety representative at the company. Their crayons do not contain wheat, barley, rye or oats. They are also not made on a manufacturing line that uses any of these grains. The only products Crayola manufactures that contain, or may contain, gluten are their Crayola Dough and modeling compounds. The Crayola Dough contains wheat. The modeling compounds are made on the same line after a thorough wash using a gluten-free cleaner. The exact ingredients of our products are proprietary, however, we are happy to provide you with the 7 most common ingredient requests NOT FOUND in products currently manufactured by Crayola–This does not include products manufactured under license. Please check packaging carefully to determine manufacturing company. 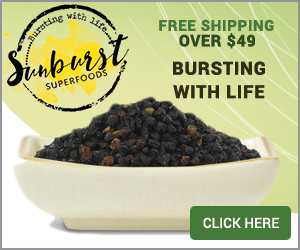 For information regarding specific ingredients not listed, please call us at 1-800-272-9652 weekdays between 9 AM and 4 PM Eastern Time. Cooking for children on gluten-free diets requires special planning and care to ensure that they are getting all the nutrients they need to grow and thrive. 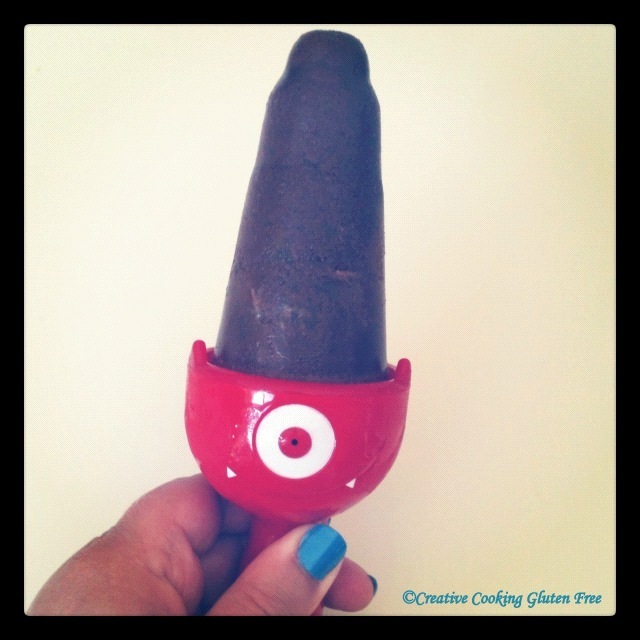 Replacing gluten-filled junk food with gluten-free junk food of course, isn’t good for kids. Research shows that children with celiac disease are at higher risk for nutritional deficiencies. A variety of nutritious foods are vital to healthy growth and development. Explain to your child what foods are safe for them to eat and what foods contain gluten and are off-limits. The depth of this discussion will depend on the age of your child- use visual aids if you need to in order to help your child understand the concept of safe and unsafe foods. Does your family love Lucy’s gluten-free cookies as much as mine does? 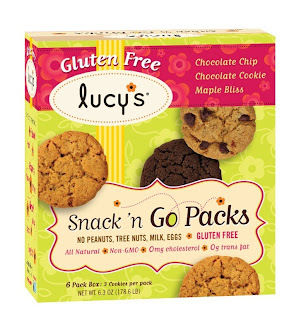 If so, you will be happy to hear that Lucy’s has added two new lunchbox-friendly products to its baked goods line… Lucy’s Snack N’ Go cookie packs and Brownie Cakes. Both products are now available in stores! Macaroni and cheese is a great comfort food. When I eat it, I remember those days when my mom would surprise us with her baked macaroni and cheese. This wasn’t just any macaroni and cheese, this was the real deal, made from scratch! Since I have this brand new bag of blanched almond flour that Honeyville sent me burning a hole in my pantry, I decided to try one of the savory recipes from Elana Amsterdam’s book. My kids love Cheddar Bunnies and Goldfish snack crackers, so I made these cheddar cheese crackers, hoping they’d be something we could all enjoy. I’d never attempted homemade crackers before, and I was pleasantly surprised by how easy they were.